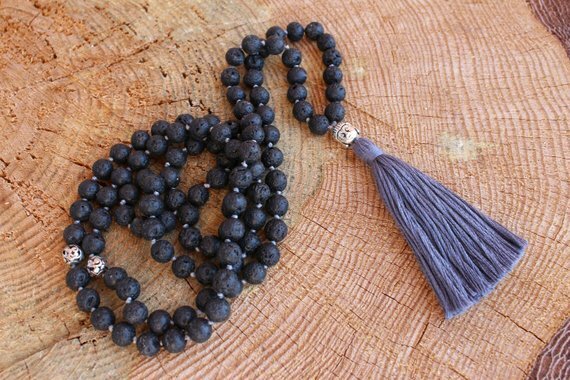 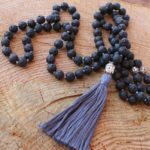 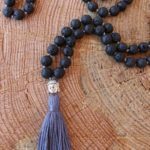 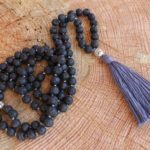 108 beads Hand-knotted Mala,Black Lava Stone, Yoga Mala, Buddha’s head Guru bead. 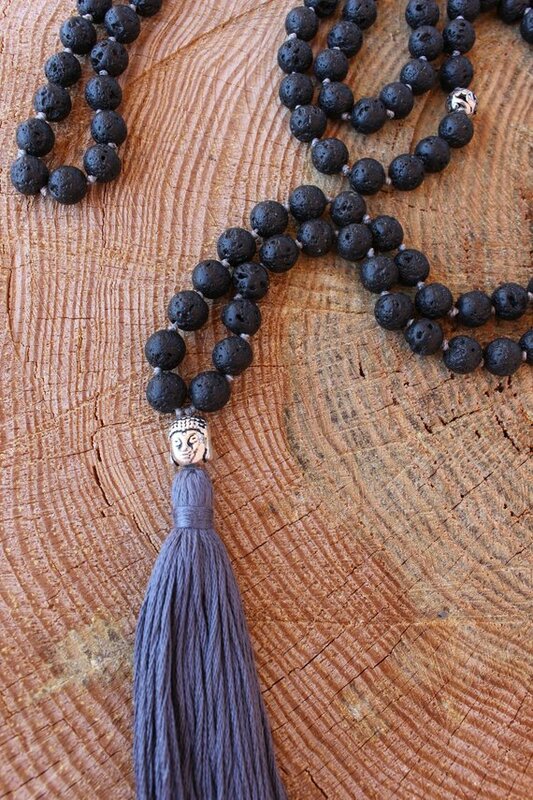 Handmade Long Cotton Tassel. 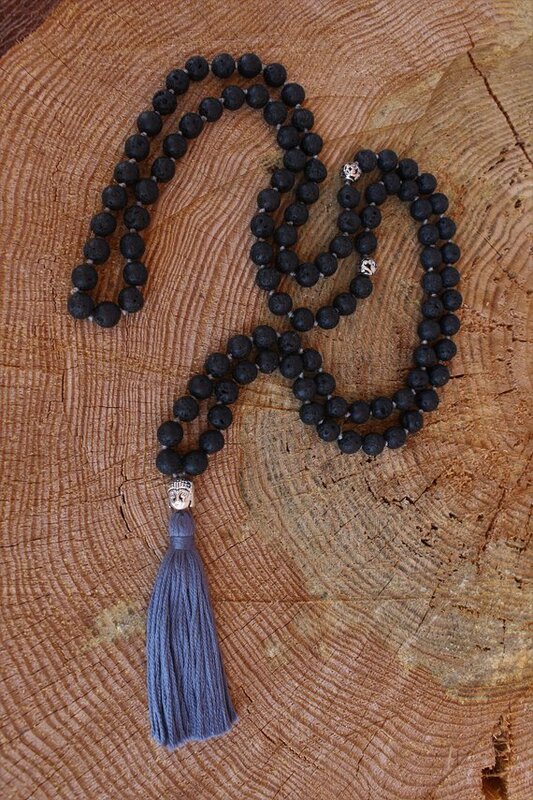 Vegan necklace. 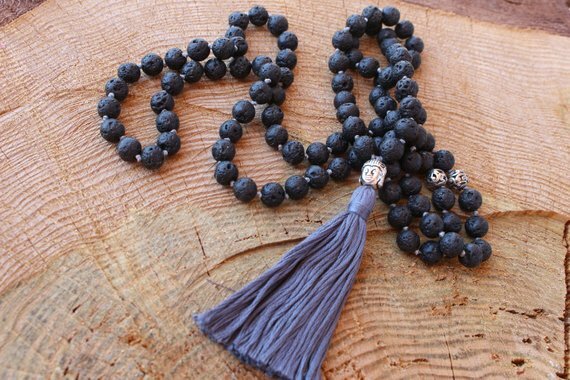 Perfect to be used as diffuser for aromatherapy . 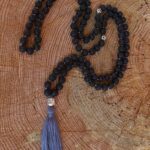 This Mala is lovingly knotted every one bead with waxed thread. 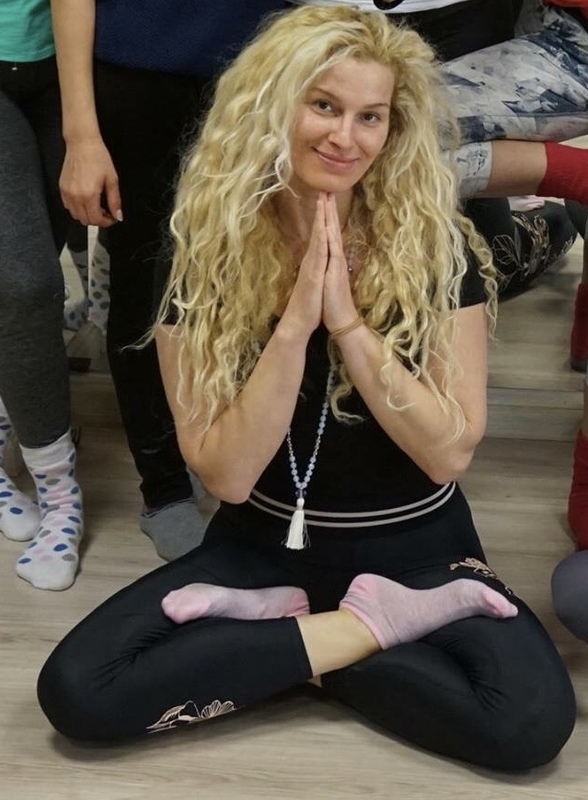 It measures about 24 inches.